"At approx. 14.55 hrs on 5th July 2015 I was sat in my back garden drinking a cup of tea and watching the swifts flying in the sky. I was watching three birds when I noticed a fourth dark shape in the sky. This was not moving in the same manner as the birds and caught my attention. 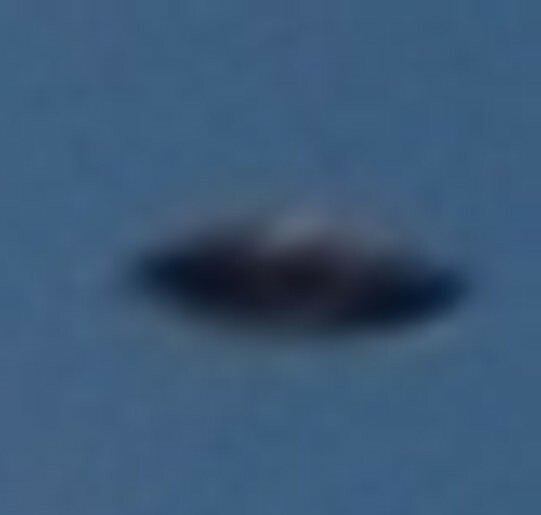 I began video recording the object on my mobile phone and did so for approx. 2mins. At this stage I decided to run to my room and get my DSLR, I changed the lens and put on a 50-300mm telephoto lens and returned to the garden which took approx. 1min. I took a series of photos at full zoom, however in my excitement I did not check the images and the first 5 or 6 were over exposed. I adjusted the settings and took a further two photos at full zoom. shortly after the last picture the object moved out of my line of sight. I reviewed the images and video following the incident and was very surprised with the images I managed to capture.  The object appeared to the naked eye as a black dot moving at a regular speed on a somewhat erratic course. It appears the same in the video although upon reviewing this I note that the object changes direction several times and appears to slow down and stop moving at other times. I reviewed the photos and used the zoom function to get a closer look. 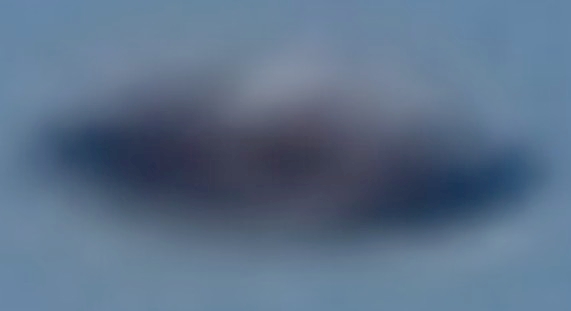 In one image the object appears as a stereotypical "flying saucer" and has a lighter circle marking on it, in the other photo (which were taken a few seconds apart) the object looks a completely different shape. I took the photos in hi res and also have the RAW files which I have attached."